The Talk Back hosts are ready for NFL week 1, and after all of the preview shows over the last eight weeks it's finally time to get down to business with a last-minute update on news from around the league and a look at the top 5 most intriguing matchups this weekend. In segment two Eric & Justin go through Talk Worthy current events, including the NFL's suspension of Zeke Elliott, what JJ Watt has done for Hurricane Harvey relief, why the Ravens didn't hire Kaepernick, ... See More opening week in college football, and Giancarlo Stanton's chase to hit 62 home runs. The show concludes with the lightning round featuring a question about NASCAR and the PGA Tour player of the year. 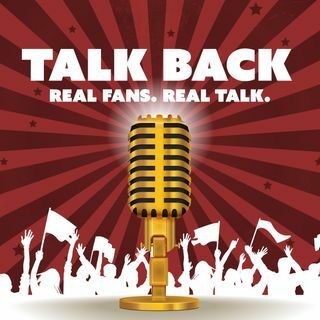 For updates and Talk Back throughout the week, follow @TalkBackFanTalk on Twitter! Enjoy the show!